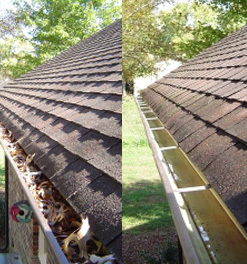 It is recommended that you have your gutter cleaned twice a year. Even if you have screens and guards covering your gutters they cannot keep your gutters completely clear, smaller objects like silt and granules from your roof shingles constantly slip through your screen. This causes a heavy sludge that is going to clog your gutters and downspouts and potentially damage your home. 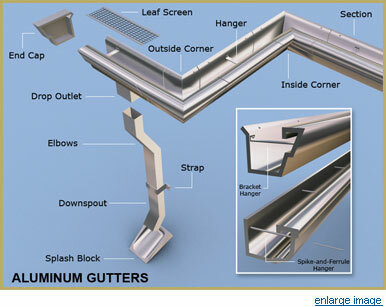 GTM will have your gutter's looking like new, and doing their job properly. We currently have a special for a gutter cleaning, so give us a call and let us know the dimensions of your house and we'll let you know what our competitive price is.